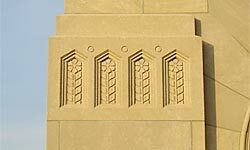 Look to this section of our website for information about how to care for your historic structure, how to take full advantage of the various incentives available to owners of historic properties, and where to turn to increase your knowledge of preservation, architecture, and Tulsa history. If you have suggestions for this section, let us know! Contact TPC Staff with your ideas.